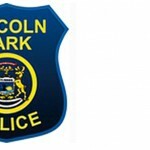 The Lincoln Park Police Department wants to provide a few tips on how to avoid being a victim of phone scams. Recently we have had several reports of citizens being contacted by suspected phone scammers. Following these tips can help avoid being a victim. If you get a call saying you’re a winner – don’t pay any money to collect supposed sweepstakes winnings. Legitimate operations won’t require you to pay to collect your winnings. Never provide anyone with personal information such as bank accounts, pin numbers or Social Security numbers. Never make donations over the phone, no matter how nicely the caller may ask and how tempting the reward. If you become a victim please immediately contact the police department.